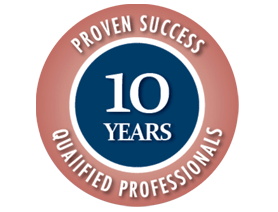 Congratulations to Lindsey Bobinger, Melissa Singleton, and Melinda Beckendorff and to all who worked so hard to get excellent results. Keep up the great work and I encourage everyone to continue with the momentum you have created throughout the rest of the year and on. Without further ado the 2018 winners! 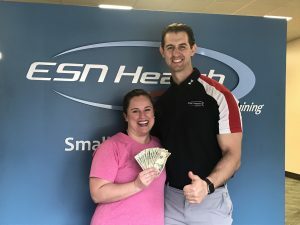 Most Inches Lost: Melissa Singleton – 16. Congrats! Most Percentage Change in Body Weight: Lindsey Bobinger – 9.16% of body weight lost. Congrats! Most Percentage Change in Body Fat%: Melinda Beckendorff – 9.65% of body fat% lost. Congrats! Check out the video for the 2018 New Year, New You challenge on ESN Health’s Facebook page. Good Luck and work hard. And don’t forget to have fun and support each other, too! Click here to view the video on ESN’s Facebook! Join us in congratulating Kate on incredible results. Keep working hard at University of Texas! 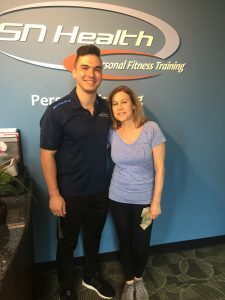 Kate Gonzalez, a busy full-time college student, has been a dedicated ESN Health client since June 2017. Her graduation gift of training sessions has impacted her life so much that she admits working with ESN has been the best thing to ever happen to her. She has overcome her fear of change and has become reliable and consistent with her workouts! 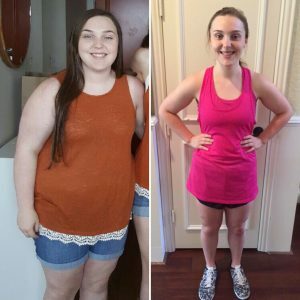 With her improved confidence she is setting a goal of working out 5 days per week so she won’t have to wear her old clothes ever again. She’s looking forward to participating in basketball intramurals with her friends at the University of Texas, as well. Please visit the ESN Healthy Kitchen website in order to view our weekly menu and make your order for the week. Have a great day and we look forward to serving you soon. 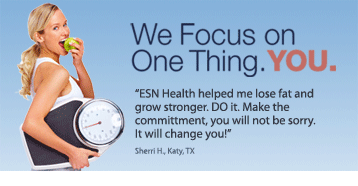 ESN Health’s ‘SPA’ Ladies Triathlon Informational, June 14 at 6:30PM – Cinco Ranch Location. If you ever wanted to complete a triathlon. Then this is a can’t miss informational. You will learn a lot more about how you can accomplish your first (or more) Triathlon with a group of ladies from ESN Health lead by one of our very own Certified Personal Trainers and Coaches, Anne Smith. 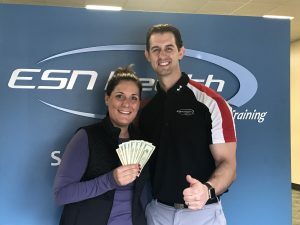 We are striving to add value to all of our client’s individualized and customized fitness and nutritional programs as we work to change lives everyday at ESN Health. 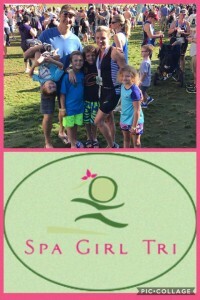 Come check it out to learn more information about what all these ladies are talking about with the SPA Triathlon. You might even get a chance to have some champagne after you work hard at completing the event.